The Contra Costa College Foundation has received a gift of $825,000 from the estate of retired business professor, Stephen C. Schaefer. The donation will support Contra Costa College students interested in business careers and related campus support activities. It will also fund the Stephen C. Schaefer Scholarship, which will be awarded to business students transferring to a University of California or California State University campus in order to complete a bachelor degree. 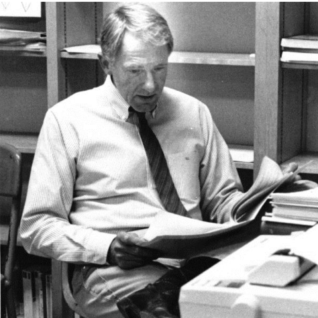 Schaefer retired from Contra Costa College in 2004 after a long career leading the Business and Real Estate Department, where he changed the lives of many students. He had been active with the college’s foundation as a founding member of the Martin Padilla Legacy Society, the organization’s planned giving program. Schaefer’s estate will also support transfer students across the Contra Costa Community College District’s three colleges via a separate gift to scholarship provider, Kennedy-King Memorial Scholarship Fund, Ltd.
For more information on the Contra Costa College Foundation and ways to support Contra Costa College students, visit www.contracosta.edu/foundation or contact Sara Marcellino, Development Officer at 510.215.3805 or smarcellino@contracosta.edu.